You know her, that part of you that seems to help you do anything BUT the thing you need to do! She suggests you do the laundry before starting the article writing. She’s the one that says, you’ve eaten one biscuit, a second one won’t hurt now. We all know her well, don’t we? From this perspective I’m sure you’re wondering how in the world your Saboteur could help you get back into the flow of life! Did you know that all archetypal patterns, e.g. the Victim, the Child, the Goddess are considered to be neutral, rather than judged as good or bad? Then why has the Saboteur been given such a bad rap? All archetypal patterns have both a shadow and light side. We are all aware that within the shadows are behaviours that are undermining us or others, but we have given no attention to the light side. You don’t really hear of people singing the praises of the Saboteur. I think I may be one of the very few people who love her! Did you know she is considered the ‘Guardian of Choice’? 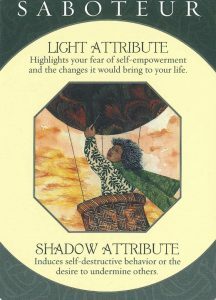 That means when we’ve brought our shadow tendencies into the light, we can see what we are doing to others or ourselves. We are then able to behavior differently by recognising that we always have a CHOICE available at any given moment. Do I sit in front of this TV for another 30mins and put myself under pressure to achieve my deadline or do I stand up right now and get into it? A CHOICE. Not always an easy choice but a choice all the same. Some people find themselves feeling like they simply don’t have a choice, but that’s really never the case. It’s just a matter of weighing up the fallouts vs. benefits. Some fallout is perceived to be far too big and it therefore feels like no choice is available. When ‘change’ is involved, fear can creep in and it seems even less choices are available. Each choice is one involving self esteem and self worth, each time we can either support ourselves or not, depending on how we are feeling. This last couple of weeks have been a little crazy: my husband chopping his hand with an axe; 4 boys in hospital after our son’s footy match (not our son this time) and a few other uncomfortable experiences. So my Saboteur showed herself in a few interestingly undermining ways. She was working hand in hand with my Victim, but then she came to my rescue and I was reminded that in every moment there is a choice. I can go into overwhelm or not. I chose not, I breathed deeply into the discomfort, got the support I needed and had a good release (aka a cry), and here I am again feeling centered and supported. Thank you Inner Saboteur, ‘Guardian of Choice’, I’m in the flow again. 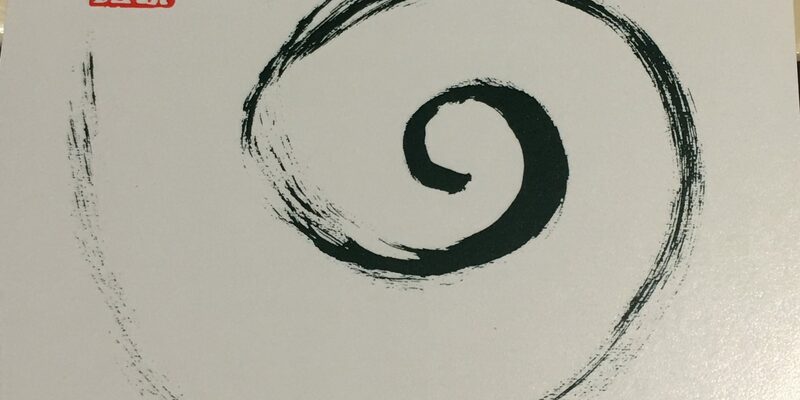 The Saboteur is just one of the Archetypes we explore during the Pain to Purpose Program, If you’d like to read more about creating flow and this program click here. You can definitely see your expertise in the paintings you write. The arena hopes for more passionate writers such as you who aren’t afraid to mention how they believe. All the time go after your heart.